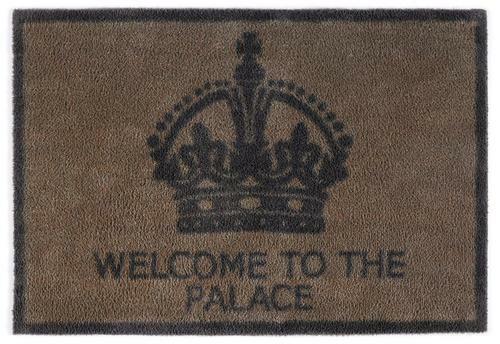 The Turtle Mat Company, the UK leaders in washable doormats has just unveiled a new luxury collection with a royal flavour. Inspired by Historic Royal Palaces, this collection features three regal designs - Palace Acanthus, Palace Crown, and Fleur de Lys. The Palace Acanthus design has been taken from the magnificent Tijou gates at Hampton Court Palace which frame the east front gardens. The majestic Palace Crown design has been inspired by this iconic symbol of royalty and the Crown Jewels which have been housed at the Tower of London since 1660. The words 'Welcome to the Palace' are also featured on this mat.